Yes, I meant for the title of this blog to be provocative. 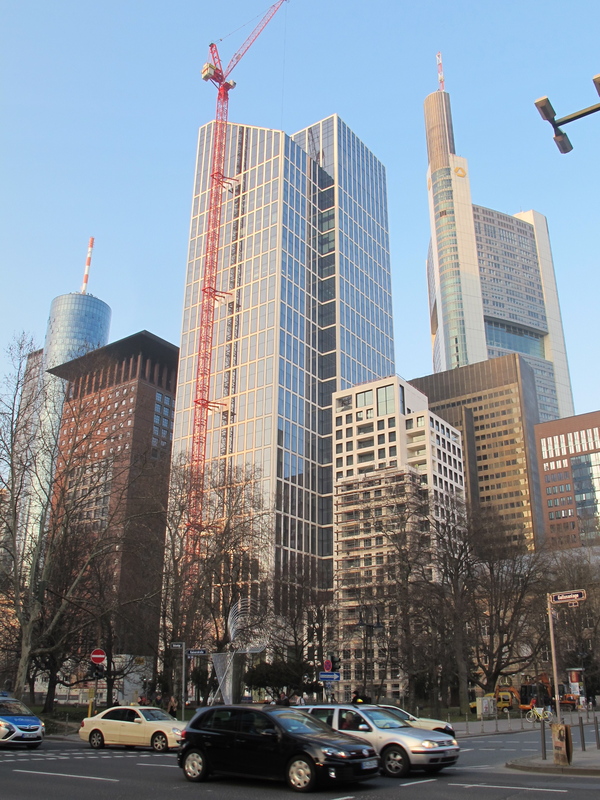 For most people Frankfurt – the one on the Main river – has three leading associations: 1) one of the few European cities with a U.S.-style skyline, 2) the headquarters of the European Central Bank (ECB), and 3) a giant airport that they always transit through but never leave. None of the above (but especially the airport) typically brings the word “fun” to mind. But that impression changed for me when, after countless flight connections at FRA, my husband and I finally decided to venture outside having built two days in the city into our itinerary. And it was totally worth it! Just a shot tram ride from the center of Karlsruhe in south-western Germany, nestled below the imposing castle ruin, is tiny, frozen-in-time Durlach. This charming place dates back to the 11th century and was a separate town until 1938 when it became a part of Karlsruhe. But to this day Durlach clearly retains its own, very special character. And the best way to appreciate it is from the top of Turmberg, or tower hill, connected to downtown via a historic funicular railway in operation since 1888. Once a mighty castle stood on the hill. 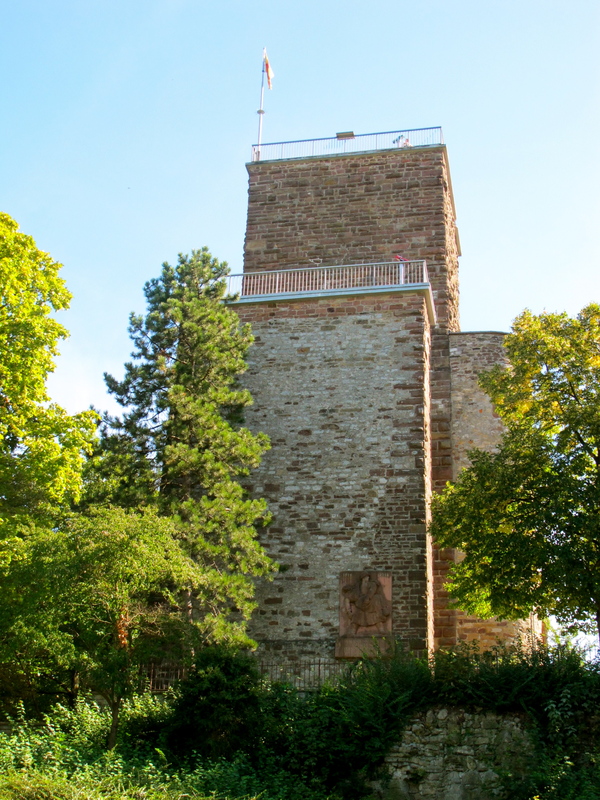 What remains today is a lone tower with an amazing viewing platform that offers panoramic views of Karlsruhe, the Rhine River valley, and the Black Forest. Friedensreich Hundertwasser was a character. Painter, architect, ecologist, he was born in Vienna in 1928 and during a long career created some of the most original works out there. I’m not intimately familiar with his paintings but I fell in love with his architecture. Quirky, eccentric, dream-like – these are some of the words that come to mind to describe his style. Some years ago I saw his most famous building, Hundertwasser House in Vienna, and was really mesmerized by it. 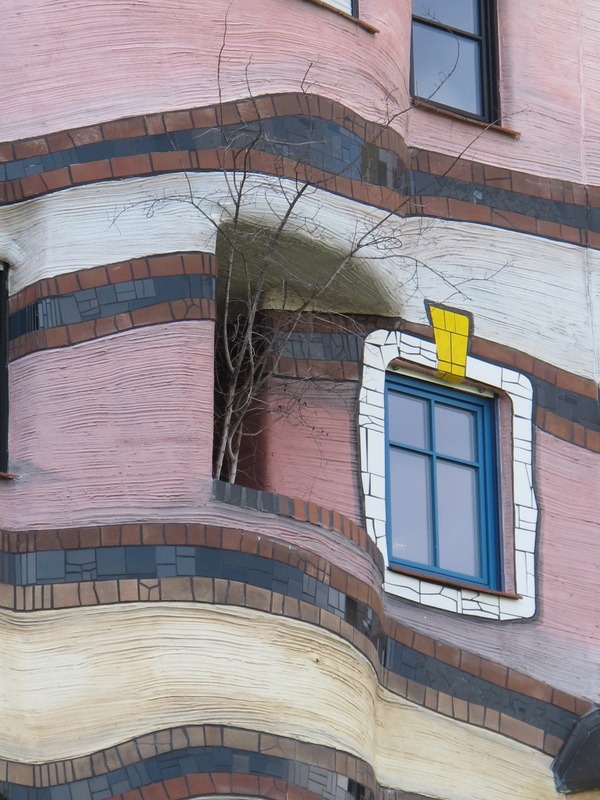 In that unusual structure with odd-shaped windows and undulating floors, Hundertwasser’s unique style was clearly on display – and I wanted more. So I was delighted to have another opportunity to see a Hundertwasser building up close and personal last summer in Darmstadt, a city in the German state of Hesse. Just a short distance south of Frankfurt near the border between the German states of Hessen and Baden-Württemberg lies charming town of Heppenheim, population 26,000. The town is picture perfect with its medieval street layout, impeccably preserved fachwerk (half-timbered) houses, and romantic ruins of an 11th century castle. It is also a renowned stop on Hessische Bergstraße – the Hessian Mountain Road – a wine region famous for its Riesling grape. The city center, Großer Markt, despite its name (Big Market) is compact and cozy. 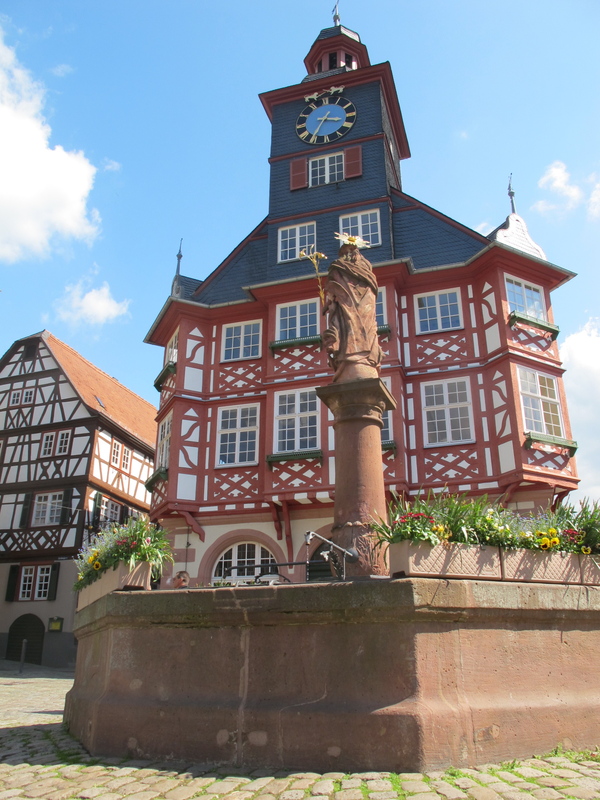 The 18th century Town Hall and old chemist’s shop Liebig-Apotheke overlook the square, which is anchored by a beautiful fountain topped with a historic sandstone statue of the Virgin Mary. But looking up offers an even more rewarding view: high on the hill green with vineyards sits ancient Starkenbug castle. Simply a delightful setting to sit back, relax, and enjoy a glass or two (or three =) of Heppenheimer Stemmler, great local wine.